Let there be no sexual immorality, impurity, or greed among you. Such sins have no place among God's people. Obscene stories, foolish talk, and coarse jokes - these are not for you. Instead, let there be thankfulness to God. You can be sure that no immoral, impure, or greedy person will inherit the Kingdom of Christ and of God. For a greedy person is an idolater, worshiping the things of this world. God does not punish sinners in arbitrary ways. He doesn't judge them on a whim or in an erratic fashion. God responds to disobedience with consistency and judges justly, matching the punishment to the offense. God's judgment is firm, reliable, and even predictable. While God's judgment may be fierce and scary to us, God's dependability is something that can also reassure us. God's love and grace and justice are equally reliable. He doesn't love us at his whim or show us grace in an erratic fashion. God is consistent and reliable. He has proven that his promises deserve our trust. God told Moses that before the Israelites settled in the Promised Land they should drive out the wicked inhabitants and destroy their idols. (1) God was stamping out the wickedness of an extremely sinful nation. The Canaanites brought on their own punishment. Idol worship expressed their deepest desires. It ultimately led to the worship of Satan and the total rejection of God. (2) God was using Moses and Israel to judge the peoples of Canaan for their sins in fulfillment of the prophecy in Genesis 9:25 and 15:16. (3) God wanted to remove any trace of pagan beliefs and practices from the land. He did not want his people to mix or compromise with idolatry in any way. If you don't do the job right the first time, it often becomes much more difficult to accomplish. God warned that if the Israelites did not drive the wicked inhabitants out of the Promised Land, these people would later become a source of great temptation. That is exactly what happened. The Israelites did not fully understand God's reasons, and they did not carry out his command. This eventually led them to compromise and corruption. In all areas of life, we should obey God's Word because we know he is just, even if we cannot fully understand his overall purposes. In Colossians 3, Paul encourages us to throw away our old way of living and move ahead into our new life of obedience to God and faith in Jesus Christ. Like the Israelites moving into the Promised Land, we can choose to destroy the wickedness in our lives, or we can settle down and live with it. We are to live like citizens of a future world, guarding each step to make sure it matches the step of God. Not out of fear but out of love. Not because man observes and keeps score, but because God watches and we want to please Him. “Obey God because you are his children. Don't slip back into your old ways of doing evil; you didn't know any better then.” (Peter 1:14, NLT). We cannot come to Christ and continue to respond to the world in the same way. Our behavior will change along with our perspective, our standards, our motives – everything. 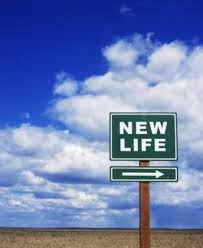 As Paul says, we become “a new creation; the old has gone, the new has come!” (2 Corinthians 5:17 NIV). This holy discipline sounds like an impossible and overwhelming command. It is – outside the power of God. To make for the new life, we must drive out the sinful thoughts and practices. Have you grown comfortable with a particular sin in your life? God does not ask you to eradicate it by yourself. Just as he went before Israel, fighting their battles in the Promised Land, God is calling for your faith and trust to follow him. As you do, God will purge sin from your life. Have you yielded to sin?